See more objects with the tag collectors, exhibition, textile, designers, silver, roses. 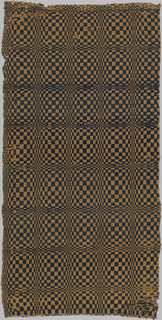 See more objects with the color silver rosybrown sienna peru peru or see all the colors for this object. This is a Poster. It is dated 1996 and we acquired it in 2010. Its medium is screenprint on wove paper. It is a part of the Drawings, Prints, and Graphic Design department. 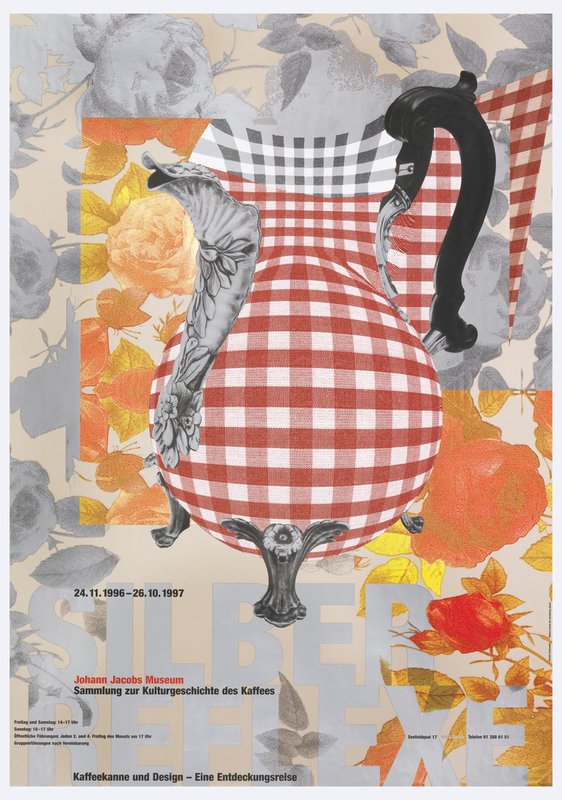 To promote an exhibition on the design of coffee pots, Schmauder, in her first award-winning poster, employs a variety of patterns to suggest the appearance of such an object through a collage of floral and gingham patterns. 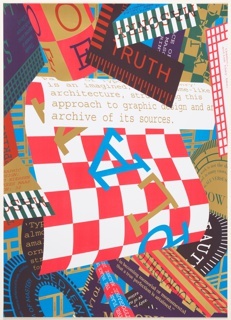 Although the layering of images suggests a manual cut-and-paste technique (as is customary with the traditional process of collage) it is likely Schmauder used software to create the desired visual effect. Image manipulation software allows designers greater freedom for experimentation because ideas can be realized (and changed) more quickly. Gift of Mrs. Sara Muschel.